Before we begin though, let´s just remember a couple of popular expressions: “don’t dive straight in at the deep end”, and make sure you “start from the ground up” (or as that wonderful Spanish expression goes: “don´t begin the house with the roof”!) 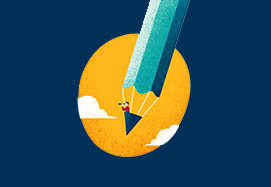 So before ambitiously asking your school, for example, to subscribe to one of the excellent but sometimes quite daunting professionals journals, such as Language Assessment Quarterly, or to send you off to an international conference or on a postgraduate university programme in language testing, why not “dip your toe in the water” with a free online introductory course to assessment such as the British Council´s MOOC “Language Assessment in the Classroom” on the Future Learn platform? Hopefully this will whet your appetite for more and get you over the first hurdle, especially if you do it together with other colleagues. If not, it is all too easy to be initially put off by quite complex academic papers and the unfamiliar “jargon” they use, although it is refreshing to see researchers themselves now acknowledging they have a wider audience by providing more clearer and simpler guidance and definitions to key terminology. 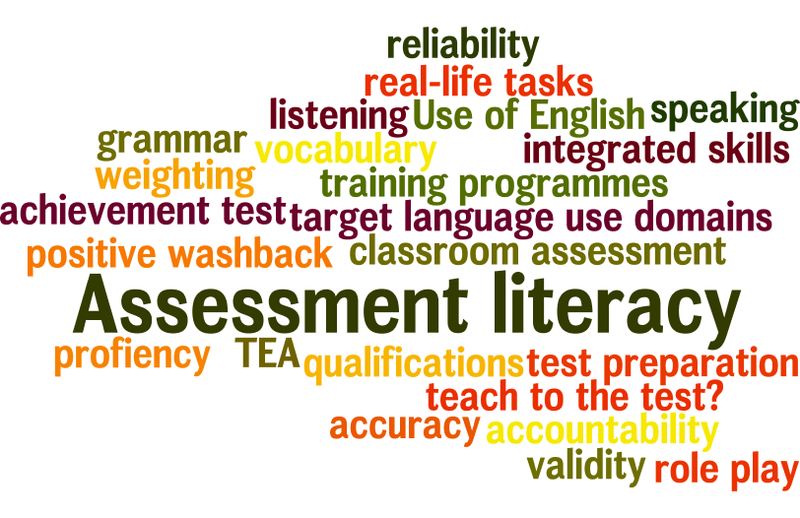 Kathryn Hill (2017), among others, attempts to remove some of the mystique of LAL by defining key terms such as content validity as simply “whether an appropriate balance of different aspects of the curriculum is represented in assessment” or construct relevance as whether “the skills, knowledge and behaviours comprising the focus of assessment are consistent with the intended learnings”. This is certainly a lot clearer and more helpful to teachers. Along the same lines, a handy reference tool to additionally have to hand to clarify the terminology and concepts, also from the British Council, is a free downloadable A-Z of Second Language Assessment guide. Download this as step 2 for this term. Once you start feeling a bit more confident about the basics and keen to know more about specific areas of assessment, this could then be the ideal time to move on to taking a weekly look, with your colleagues, at some free websites such as Glenn Fulcher´s excellent Language Testing Resources Website, with each member of the group reporting back on a specific article or resource on the site and more importantly, sharing ideas about how they might be adapted to your own classes. Until very recently there was clearly a lack of good, structured and/or affordable training in this field on offer. Tsagari and Vogt (2017) observed that “teachers seem to learn about LTA (Language Testing and Assessment) on the job, they rely on mentors, colleagues and published assessment materials in order to survive”. While agreeing with their opinion that most teachers get very little specific pre-service or even in-house training in assessment, it could be seen as rather more arguable that many will actually have “mentors” to contact and guide them, or generous resource libraries at their schools to access published materials, beyond specific test preparation coursebooks and sample tests. Once we´ve got a clearer idea of what´s available to us in terms of initial training and development and hopefully clearer criteria to make decisions, then comes the time to take a much closer look at the actual assessments we use. So this is where the third part of this challenge comes in. Like anything else, at least once a year it´s always a good exercise to question what you use and why, in this case looking at the tests you set or recommend. Have you ever investigated what the test developers or testing organisations actually say about their tests, and the insights and full range of documents they themselves provide you with? Only then will you be able to understand them more fully, weigh up your options and decide what best matches your students´ needs, your syllabus, and your own approach to and ideas about assessment which you will have steadily been forming over the previous 2 terms (if you´ve managed to stick to your first two resolutions! ), by seeking to really get to know the tests “inside out” and analyse them from different angles. How and why were they developed? What were they originally intended to be used for? (This is not always the same as why some teachers/schools use them!). What item types and tasks are included and why? How exactly are they scored/what are the evaluation criteria? Although they are not always easy to find or in some cases not even published for direct teacher access, most testing organisations will normally publish documents called “specifications”, and/or detailed level-by-level test guides, as is the case with PTE General, e.g. this one at L3 (B2). These will help gain a vision from the inside, but above all they are vital to really help see just how far your assessment practices and tests fit in with the” bigger picture” of ensuring we are putting our students first and fulfilling the definitive challenge of delivering what has been called true “learner-oriented assessment” (LOA). In a recent paper, Green (2017) was reluctantly forced to admit that “what was missing from the free teacher resources” (offered by the particular leading awarding body under study) “was any indication of how the tasks mapped onto broader learning objectives or longer term language learning needs rather than the immediate imperative to pass the examination.” Let´s see if as a teaching and testing community we can all resolve to work more closely together over the course of the year and beyond, and that through this enhanced assessment literacy we can develop assessment practices and materials that meet these ultimate longer-term goals. 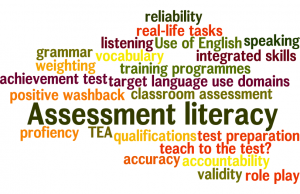 Teacher assessment literacy in second and foreign language education. Papers in Language Testing and Assessment Vol. 6, Issue 1. (Special issue). 2017. Hill, K. (2017). Understanding Classroom-based Assessment Practices: A Precondition for Teacher Assessment Literacy. pp.1-17.